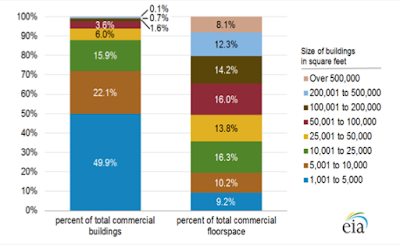 Commercial Buildings account for 20% of total energy consumption in the United States. The larger units use management systems or automation systems BAS to improve comfort and reduce energy costs; however, small and medium sized commercial building, which account for half the sector’s energy usage and 95% building stock, lack cost-effective BAS solutions and the resultant savings. 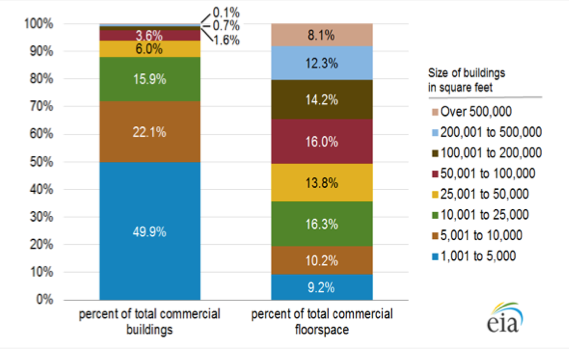 Load Types there are three major loads in commercial buildings: HVAC, lighting and plug loads. 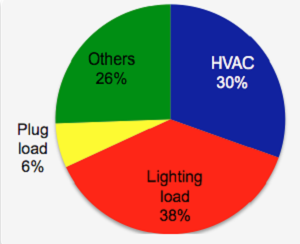 According to the data from EIA published in 2008, electricity use by HVAC equipment accounts for 30% of the total electricity consumption, lighting loads use 38% and plug loads 6%. Cost and Interoperability BAS systems need to become much more interoperable, scalable, and easy to deploy by utilizing open architectures, plug-and-play and providing local or remote monitoring. Most systems currently use proprietary architectures requiring building owners and controls designers to purchase devices and controllers from a single vendor instead of optimal products, controls, and services from different vendors. Bemoss is a turn-key solution that reduces installation and maintenance costs. In addition, it is a scalable and broadly interoperable solution with seamless HVAC, lighting, plug load equipment and controller integration from different manufacturers, hence plug-and-play functionality for the many system configurations found in smaller commercial architectures. System Features Open Source Architecture Cost Effective Interoperability Ease of Deployment Local/Remote Monitoring Manufacturer Friendly Developer Friendly Scalability Plug and Play Secure. Benefits the system provides small-sized commercial building owners access to flexible, cost-effective building energy management that streamlines operations and optimizes energy usage. 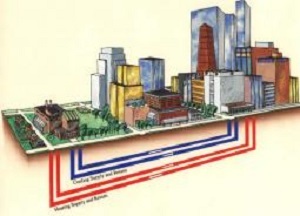 Also, the greater interconnection between building systems and a centralized control structure facilitates demand response, providing additional savings and better integration with the electric power grid.